Drug resistance: What can we do? Throughout history, mankind has suffered from several devastating epidemics caused by pathogens (disease-causing microbes). Even the bible speaks of the occurrence of epidemics such as leprosy and tuberculosis, millennia ago. Among the deadliest known in history, the plague epidemic, from 1347 to 1351, killed half of the European population. Centuries later, the Spanish flu of 1918-1919 has claimed more lives than World War I. On the American continent, around the same period, the epidemic of polio in the United States has killed 6 000 persons. For many years, Haiti has been known for the spread of deadly microbial epidemics and is still currently fighting one of the highest rates of tuberculosis, HIV/AIDS (despite the dropping prevalence) and malaria in the hemisphere. Antimicrobial resistance is the fact by which, the pathogens become insensitive to the drugs used to kill them or to inhibit their growth. It is known as a natural phenomenon, but can as well be propelled by humans through overdose and improper use of drugs. In line with Fleming’s projection, antimicrobial resistance is an actual fact and a global health issue especially in our era of globalization and mass commercialization. As a result, in a near future, we may lack the most essential drugs to cure the simplest infections. How is it today? In its 2014 report, the WHO has revealed that the Influenza A viruses (susceptible to cause the flu) are resistant to all available preventive drugs. Worldwide, 450,000 new cases of resistant tuberculosis have been reported. And in Africa, resistance to a specific class of drug used in the treatment of AIDS has been observed since 2009. Concerning malaria, several countries on different continents experience some level of resistance to chloroquine (Main drug used in the treatment). Imagine a world where anybody can die of a single skin cut, where more children under 5 years old die of pneumonia. Imagine a country like Haiti in such a world, with no available drugs to treat malaria and AIDS. Imagine a world where tuberculosis is an incurable disease, where doctors can’t practice surgery -because most of the time, there’s no surgery without antibiotics- and where children die of mother-to-child infections. To avoid such catastrophe, key attitudes are recommended in the face of this new global epidemic of resistance to antimicrobial drugs. Let’s lay down a non exhaustive list of four realistic and reliable precautions we can adopt in Haiti. Most of the meat consumed in Haiti is imported from the Dominican Republic and the United States. In larger economies, antibiotics are used in animals, despite the advice of the WHO to cease such practices (Press Release WHO/39. September 11, 2001). When a person ingests meat containing antibiotics, they also consume the drug. This improper use of antibiotics contributes to bacterial resistance in humans. As a result, these drugs will lose their ability to produce the desired effect in sick people. The lack of antibiotics is one of the advantages of purchasing local Haitian agriculture. It is, therefore, recommended to consume local foods in order to decrease the spread of antibiotic resistance. Concerned state authorities should take responsibility by enforcing the article 19 of the August 10th, 1955 law forbidding the sale of antibiotics without medical prescriptions. 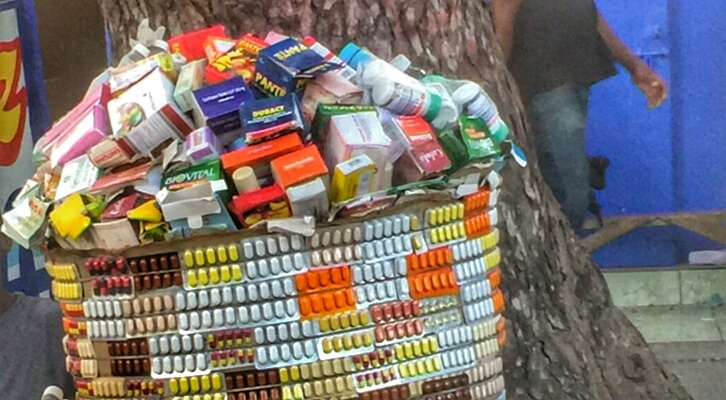 According to a study I conducted in March 2015 at the outpatient clinic of the General Hospital of Port-au-prince, almost half of the patients (45.4% of them) buy their antibiotics without any medical prescription from street vendors tubs, public transport buses and sometimes pharmacies. While we wait for a more modern law on the pharmaceutical sector in Haiti, the one cited above should absolutely be enforced in the meantime. From the doctors, it is required to decrease the careless use of antibiotics and other microbial drugs. The choice of the most accurate drug to treat a specific infection, the appropriate dosage and duration, should be done with the utmost care. In all circumstances, following a well-conducted physical exam, the clinical judgement of doctors need to be accurate. It is best, however, to objectify an ongoing infection before initiating a therapy even if in most of the cases, the medical practice is challenged by the inability of the patients to pay for basic exams. No matter the limitations, it is the doctor’s duty to make the best decisions for their patients and for society as a whole, based on their judgement and scientific evidence. As it is often said, prevention is better than any cure. It is in the best interest of the general population to increase their awareness of the situation and their health literacy. 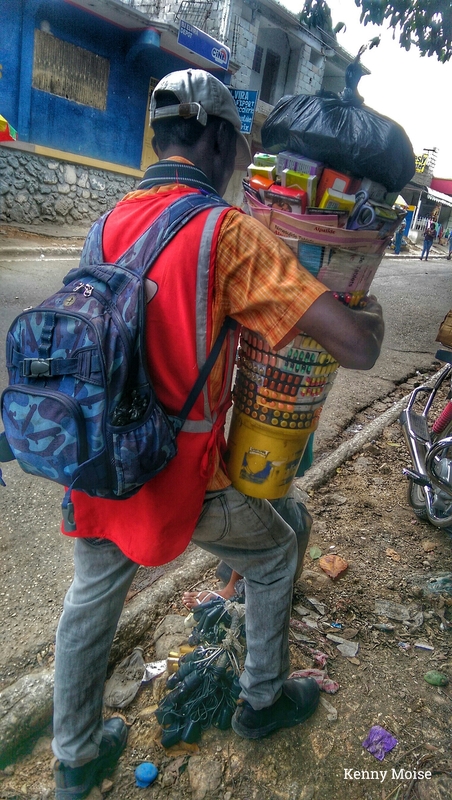 Unfortunately, in Haiti, information and health education campaigns are only held in times of severe outbreaks, and are transmitted in a language that excludes the majority of the population and fails to take advantage of the best communication channels. Basic health knowledge should to be taught throughout people’s lifetimes, beginning in elementary schools. IntegrAction, a non-profit organization I co-founded, is totally engaged in this fight for effective health literacy for the Haitian population. Awareness and a culture-oriented health literacy coupled with the best medical care can make a profound difference, in regard to this alarming situation. The state and local authorities should join their hands to enforce the existing law and encourage the consumption of local foods. With enough political will and global awareness, it is possible to get around the dramatic fate. One behavioral change at a time, let us, Haitians, unite for this cause!